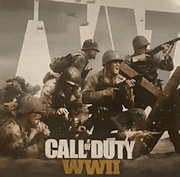 Call of Duty: WWII is available on disc at a number of retailers, digital download via Steam, or at the Call of Duty: WWII official website. Watch the Wolfenstein II: The Diaries of Agent Silent Death trailer here. Eighty years ago, the people of China rallied together to fight a ruthless invader – another in a long line of invaders. For a brief moment, the post-revolutionary squabbles that followed the end of the imperial line were put aside to defend the nation. But that is just one possible timeline. History is not fixed, and Paradox offers you the chance to change it once again with the release of Hearts of Iron IV: Waking the Tiger on March 8. Waking the Tiger is the next expansion for Hearts of Iron IV, Paradox Development Studio’s best-selling World War II grand strategy wargame. With new focus trees, revised battle systems and new alternate historical paths for the major Axis powers, Waking the Tiger will shake idle generals from their slumber. Click here to watch Game Director Dan Lind and friends explain what’s coming in Waking the Tiger! Chinese National Focuses: Divided and under threat, China has great reserves of manpower and diplomatic flexibility. Hearts of Iron IV: Waking the Tiger will be available on March 8, 2018, and, as usual, the release will be accompanied by a free major update for all Hearts of Iron players. Click here to pre-order Hearts of Iron IV: Waking the Tiger and gather up more game information! EKWB is a Slovenian manufacturer of high performance water cooling parts and accessories designed to meet the needs of the most discerning PC enthusiasts. EK gets their name from the initials of their founder, Edvard Konig, who began designing and manufacturing water blocks back in the late 1990’s, eventually producing and manufacturing his first line of waterblocks in 2003. Since their inception, EKWB has built a reputation for making some of the best water cooling components in the industry and they also have a lineup of AIO cooling solutions for users who don’t want to get involved with full loop water cooling. 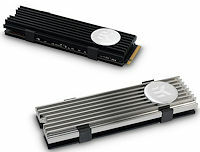 Today, I am looking at the EKWB M.2 NVMe Heatsink, a product designed to reduce temperatures of M.2 storage devices while also giving a unique aesthetic to a typically green or black sticker-covered M.2 drive. NVIDIA has released the latest update to its GeForce software. Version 390.77 WHQL drivers come game-ready for four of the week’s hottest game releases, including “Metal Gear Survive,” “Black Desert Online,” “Kingdom Come: Deliverance,” and “War Thunder.” It adds or updates SLI profiles for “DiRT 4,” “Hot Lava,” “Metal Gear Survive,” and ” Ode.” The drivers address several issues specific to Windows 10, such as display corruption/blanking when, for example, multiple displays are connected to a GTX 780 Ti SLI setup; G-Sync displays connected to TITAN V with its memory being overclocked; or a BSOD crash when “Gears of War 4″ on GeForce 10-series GPUs. You can download the new GeForce 390.77 WHQL Game Ready Graphics Drivers from GeForce Experience and GeForce.com. We’ve gathered a bit more info regarding the Meltdown security exploit, which primarily affects Intel’s CPUs, but also has been confirmed to affect some ARM CPU designs. Also the Spectre exploit that every high-performance processor ever made – Intel, AMD, ARM, and POWER – is thought to be vulnerable to. Check out the links below for the latest news pertaining to the Meltdown and Spectre exploits. Call of Duty: WWII The Resistance arrives 30th January. Fight to liberate three new MP maps set in iconic locations, a new war mission, and the latest terrifying chapter of Nazi Zombies. Battle your way through the Paris streets in Occupation, the Wolf’s Lair in Valkyrie, and the torn city of Prague in Anthropoid. Free your fellow resistance fighters on Operation Intercept. Then try to survive the zombie infested island on The Darkest Shore. Watch the official Call of Duty WWII The Resistance DLC trailer HERE.